The world’s latest genious! Love it! 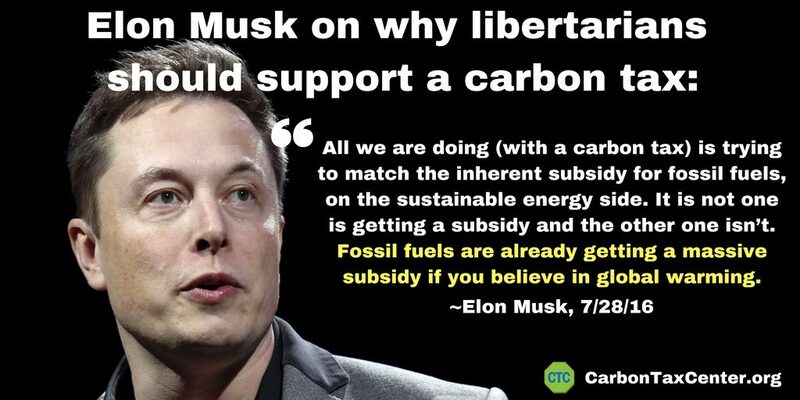 In presentations on climate reality and carbon fee and dividend, I reference the market failure of negative externalities in the pricing of fossil fuels, and I also reference Musk’s progress with battery storage. These remarks help me put it all together more succinctly and convincingly. Thank you. After earlier envisioning Hyperloop, Musk assigned a dozen engineers from Tesla Motors and SpaceX who worked for nine months, establishing the conceptual foundations and creating the designs for the transportation system.